Septic Tank Pumping, Cleaning, and Repair: King's Sanitary Service strives to be more than just your run of the mill septic tank cleaning company. We have experienced technicians to handle problems that could be forming in your tank. We also offer a tank repair service for problems that may be too big for the normal homeowner to attempt. King's Sanitary Service specializes in the pumping of septic tanks for all residential & commercial properties. 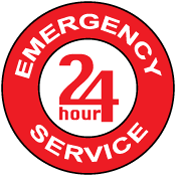 We are available 24 hours, 7 days a week for all sorts emergencies, including holidays! There is no septic cleaning or grease trap cleaning project too big or too small for our plumbing service. We offer Weekly, Bi-Weekly, Monthly, Quarterly and Yearly Services Agreements with friendly reminders. Our technicians can deliver bacteria (Bio), Chlorine & DE chlorination tablets and other septic additives when we come service your tank/system. Do you delay getting your septic tank cleaned because you dread the awful digging involved? No worries! King's offers the installation of septic lids & risers to bring the lid as close to the surface as you would like. 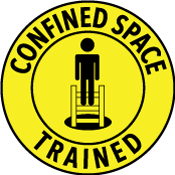 Septic lids make finding your septic lid a “no thinking matter” and allow you to easily access whenever you need to! Tank sizes vary depending on how old the home is and how many bedrooms it may have. Also, Aeration tanks tend to be larger than regular septic tanks or holding tanks.